I am just so thankful of everything that have happened to my life. From my blog, to my new met friends and as well as with my new job. Everything has been going my way and this could not have been possible without the people surrounding me. 3. Entries without a beauty tip ewill automatically be forfeited; so be sure to share your favorite beauty tip with everyone okay? 6. Deadline of entries for this giveaway is on August 17, 2011. Easy, right? All you need to do is share your favorite beauty tip and you will automatically be eligible to win the stuffs mentioned above. Oh, and no need to worry. This is just an appetizer for my future giveaways. More blog, Facebook and Twitter (maybe) giveaway to come. Like FB with Ivan Alina-Alexandra. My beauty tip for all of you is to use foundation on your eyelids before applying eyeshadow because it helps the eyeshadow stay on longer. 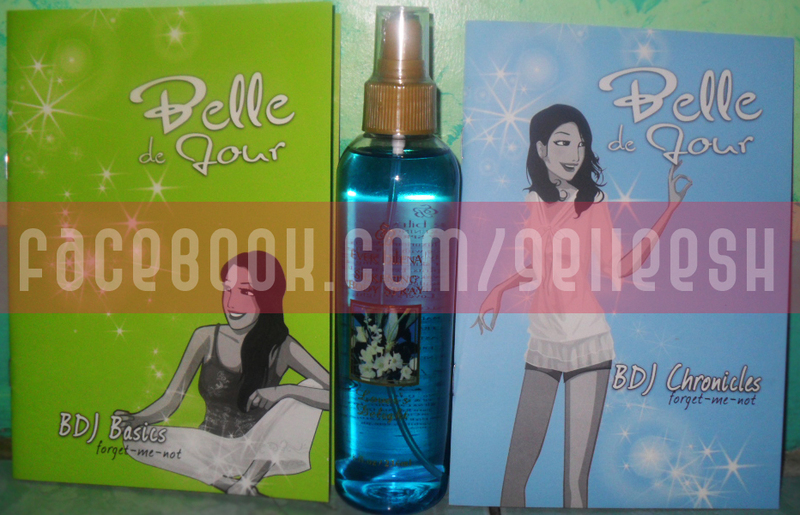 I will like to win Belle de Jour BDJ Chronicles. i've noticed you join other blog giveaways too.. if you have time, please visit my site too for more exciting blog giveaways. :) thanks! joined sis.. :) thanks ha!